This is a genuine Dyson replacement wand handle for your vacuum cleaner. Suitable for: Dyso.. If your vacuum handle has broken or is causing your dust busting capabilities, then maybe its about .. This is a replacement hose for Dyson DC23T2 & DC32 vacuum cleaners. 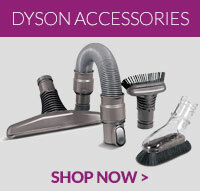 Genuine Dyson spare part com..